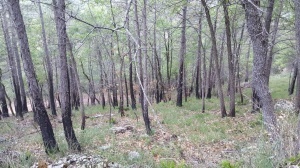 The monitoring of bioindicators of the forest stands where forestry improvement actions had been completed. 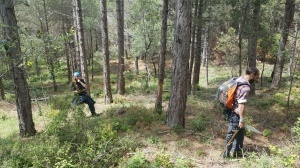 – A team of 3 people has carried out transects in all the stands of the different actions in order to collect data from the generated dead wood on the ground and also still righted, as well as of the new cavities of the subway. 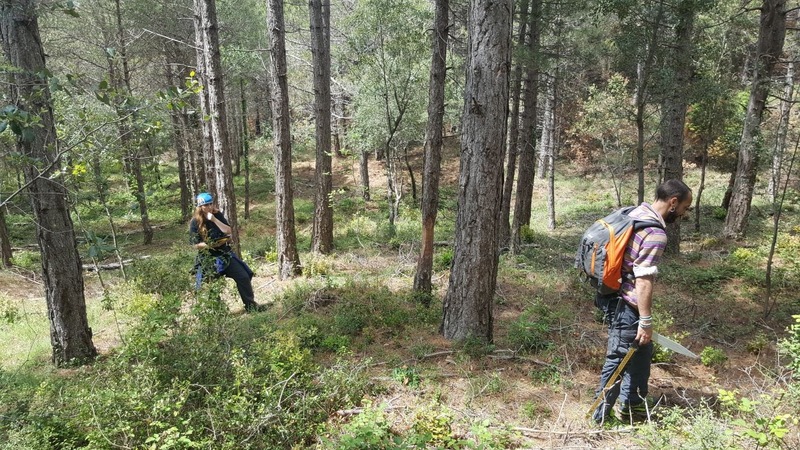 – Flora transects have been made to evaluate the new feet or regeneration of different species of interest either by their state of conservation or for being indicators of the pine forests. 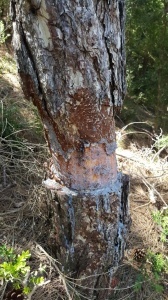 – Bird listening stations have been carried out at each forestry stands to evaluate if there has been a change in the ornithological community due to the forestry works. It always has been done in the implemented stands and control areas without changes in order to correctly evaluate the process. 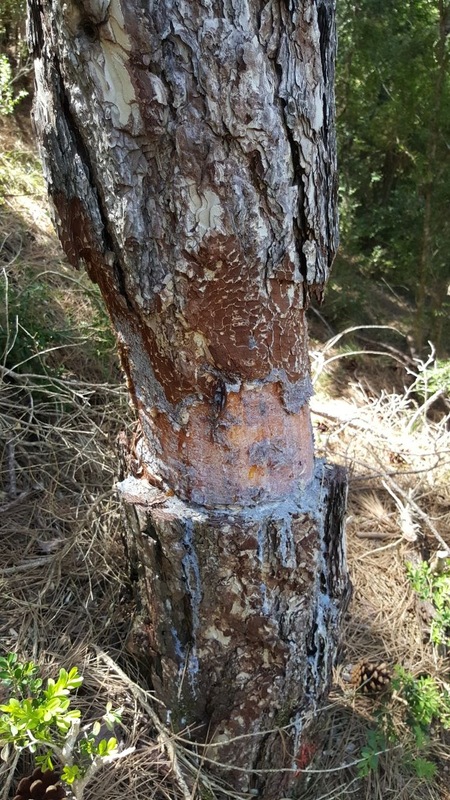 – They have been carried out census of bats in C7 burned and C4 managed by means of automatic ultrasound recorders that have been left recording a total of 4 or 5 nights. 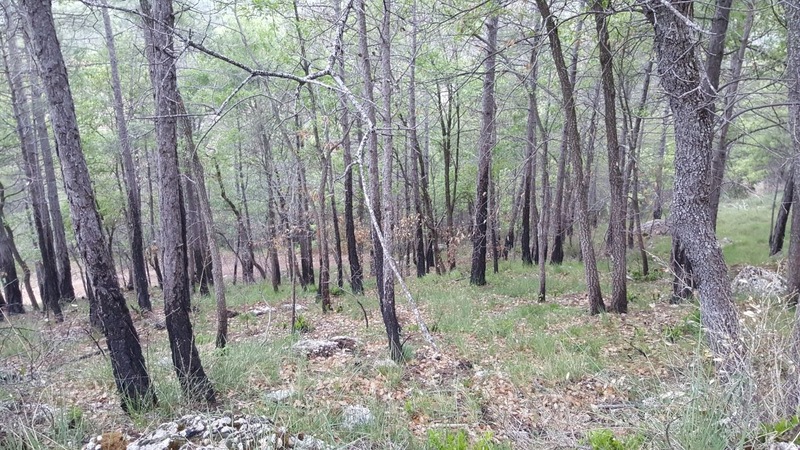 – The sampling of nocturnal butterflies has been carried out in these same methods to evaluate if there has been any change in relation before the forest improvement of the mass of pines. – Finally, with 3 extra peeople, the study of Edafofauna at C7 and C6 with prescribed fires to evaluate the change in burned areas in the fauna of the soil (small invertebrates). All the collected samples have been taken to experts who classify them and identify the corresponding species and groups. 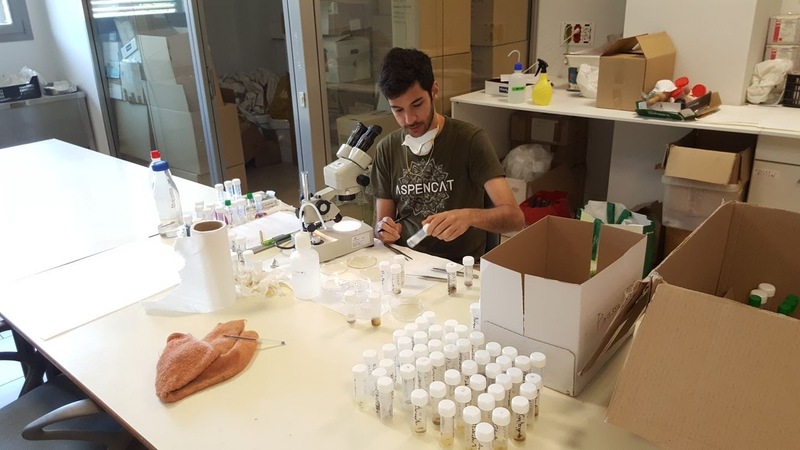 In all the actions of monitoring of bioindicators they have worked: Elena Roca, David Guixé, Arnau Silva, Aina Jorba, Marc Gómez, Eñaut Muerza and Xavier Florensa.